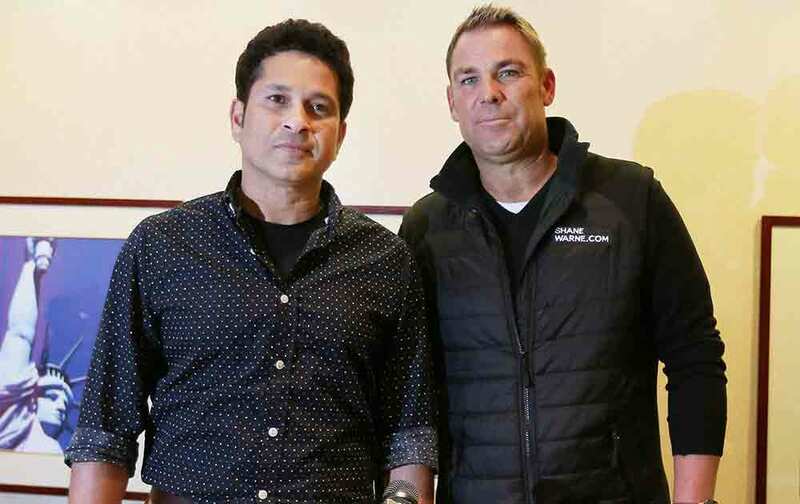 Cricketers Sachin Tendulkar and Shane Warne at a press conference at Times square in Manhattan, New York. 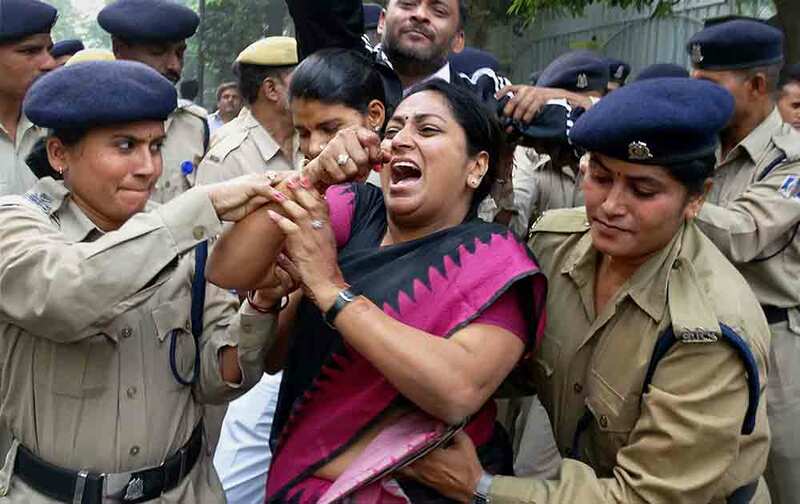 Police arrests BJP leaders and workers who gathered outside Arvind Kejriwals residence to protest against the non-payment of salaries to the MCD sanitation workers in New Delhi. Ishant Sharma during a practice session ahead of the first Test match against South Africa at Mohali. 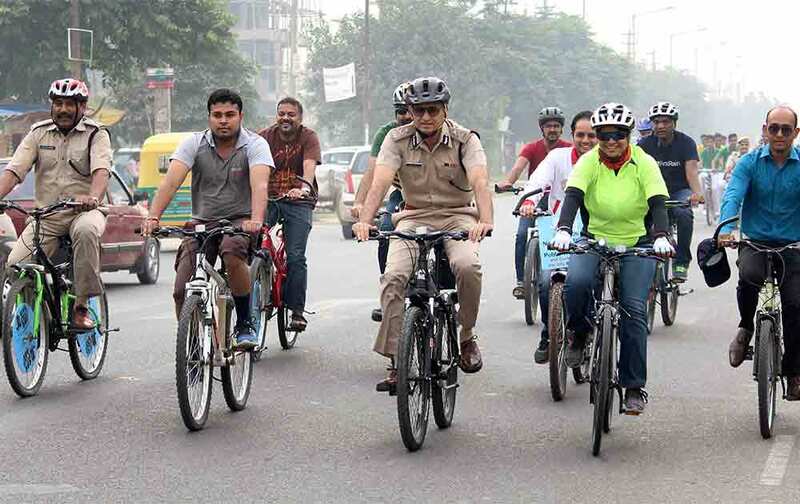 Police Commissioner Navdeep Singh Virk and his team of officials riding bicycle with students on Car Free Day in Gurgaon. 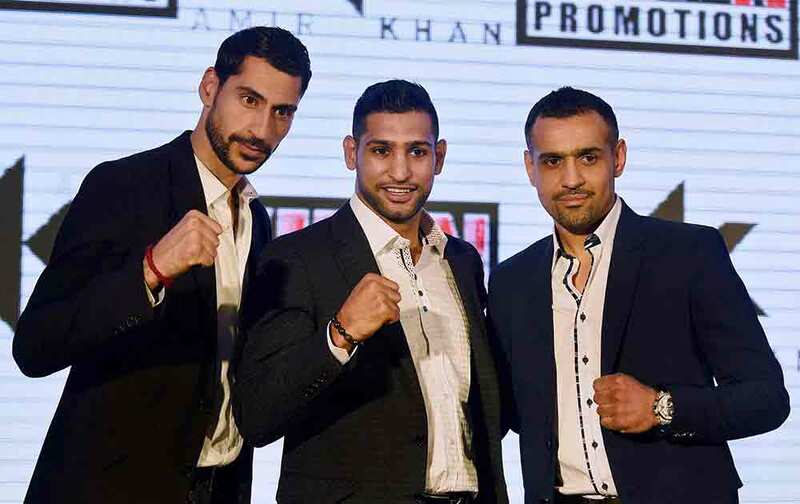 British pro boxer Amir Khan with Bill Dosanjh (r) CEO Super Fight Promotions during a press conference in New Delhi. 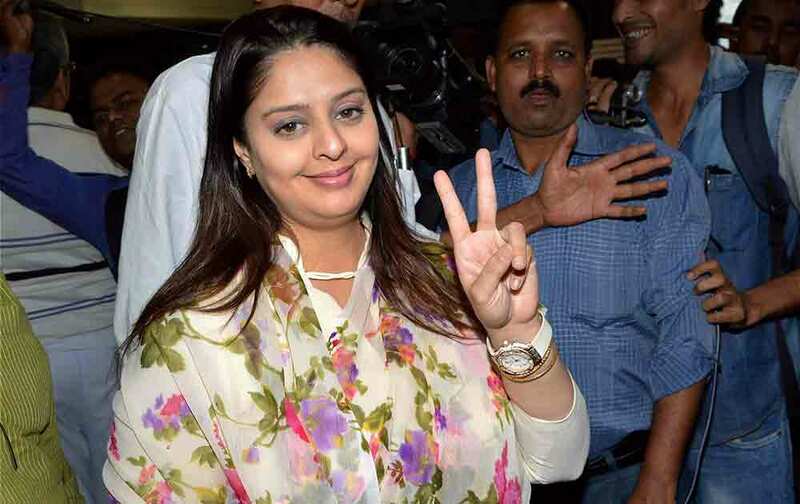 Congress leader Nagma flashing victory after end of campaigning for the fifth phase of Bihar assembly election, in Patna. Tennis player Sania Mirza interacts with media after being announced as new brand ambassador of Volini during a press conference in Mumbai.